A School Data API can be an incredible resource to position yourself as THE resource on local schools. But when it comes to one of the biggest purchasing factors for a family, do you have all the right tools to truly offer them the assistance they need? You can make a quantum leap in this direction by simply adding a School Data API (Application Programming Interface), which is simply a widget or few lines of code, to your website. Unless you yourself have school-aged children, you may not be aware of the enormous impact of local school districts on the value of real estate. 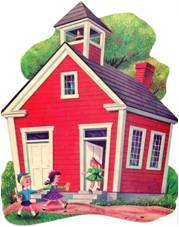 In fact, school quality is one of the main considerations for a family looking to move in. A recent survey indicated that over half of buyers would go beyond their stated budget in order to be in a highly rated school district. Of those respondents, nearly 10% stated they would even spend as much as 20% over budget. More than half of the respondents indicated that they would forego a pool, a big yard or even a bigger home in favor of a desirable school district. Why is this such a big deal? Higher-ranking school districts may boast higher tests scores, lower dropout rates, and keep students on track for a successful career and even life. For parents hoping to give their children the best start, moving near a great school just makes sense. Even older folks and those who don’t plan to have children may be thinking of the potential resale value someday when choosing to buy near a certain school district. School list found on District Houston Realty website. Now that you see the importance of being well versed in school district information as a real estate professional, you may be wondering how to take action and teach yourself. Did you know that there is a window into a vast warehouse of data offered by information aggregators such as Home Junction Inc.? These aggregators have the ability to scoop up scores of datasets about schools in any district. They are ability to then filter the data, keep it current and feed it to local brokers and agents. – School district boundaries – super important because this basically tells you which schools are serviced by different properties). – School attendance zones – again, a very critical piece of information. A home might be located in a great school district, but the attendance zones will indicated which schools are available to students. 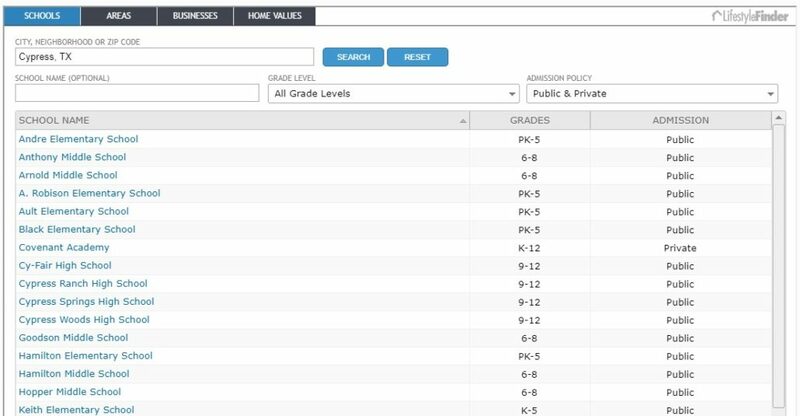 By adding a School Data API, your clients will be able to access this school data from your website, ensuring they don’t go into the arms of a competing site in order to help them. What constitutes a great school district? So you’ve pulled up some school data and you have an idea of how many schools are in the area, where the district boundaries lie, and even the general demographics of the students. How do you evaluate this information to be able to talk to clients credibly about the quality of a school? You can actually compare all of the local schools by reviewing their test scores, the ratio of teachers to children, after school programs, and other activities. You may also be able to find graduation rates. Finally, consider having a sit-down with some long-time locals who can tell you what the schools looked like ten years ago and where they feel they’re headed today. You know your clients want to evaluate the local school data and choose the best district. Often times, they like to surf the web to conduct this research on their own. That’s fine. But be sure to let them know one place to start if your real estate websites and all the information provided by your School Data API. Also as with most client-consultant professions, the best way to guide them through this process is to get to know them and find out more about their unique needs for their children. Perhaps they are interested in private schools. Or perhaps schools with different religious affiliations. You School Data API can supply all that info. Potential buyers should also try to arrange a visit to the schools for themselves so they can get a feel for them. With Home Junction real estate market data, your website will have the school’s address, proximity to a property your are considering, the principal’s name and contact info and other helpful information. They should also ensure availability. Could there be anything worse than investing in a new home in a desirable area only to find out that there are no spots open in a prime school? Ultimately, while you can provide quality resources and your knowledgeable opinion, your clients will have to come to a decision that is right for their family. But they’ll feel much more comfortable about it with you and your in-depth School Data API on their side.